NHL center who was selected third overall by the Montreal Canadiens in the 2012 NHL Draft. He spent much of his childhood as a hockey brat, moving from Russia to the U.S., Germany, Italy, and Belarus, then taking up the sport himself in Chicago. He represented the US at the IIHF World U20 Championship and the Ice Hockey World Championships, winning gold and bronze. 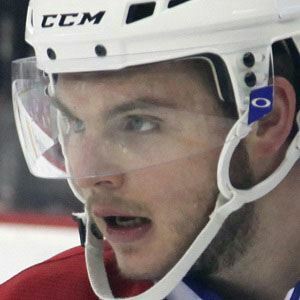 His father, Alexander Galchenyuk was also a professional hockey player. He has an older sister named Anna. He became teammates with Max Pacioretty on the Canadiens in 2012.